It's that time of year again! I listen to a lot of podcasts. I have my regular half-dozen or so but I always discover a few new ones during the year. At the end of the year I like to go back and highlight a few. Saying that these are my "favorites" is a bit of a misnomer; I'm not ranking them. It's just a sampling of some that stood out and caught my attention. As you'll notice, most aren't Pixar or even animation-focused. I think that's great, as it demonstrates the great number of sources for finding Pixar-related interviews and content. The Pixar Post - OK, this is not a new one, LOL. If you're a Pixar fan then I'm sure you're already listening to TJ and Julie's podcasts and reading all the Pixar news on their site. There's no better site for your Pixar news fix. A number of their podcasts this year were interviews they did with Pixar artists during the Cars 3 and Coco press events. 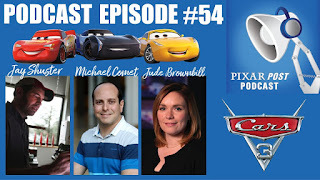 The one I linked to above was one of my Cars 3 favorites with directing animator Jude Brownbill, characters supervisor Michael Comet and production designer Jay Shuster discussing the challenges of creating and designing the characters of the film. Market Foolery interviews Steve May - This one also isn't new, but I love when one of my regular, "non-Pixar" podcasts talks Pixar. Market Foolery is a daily podcast from the Motley Fool that covers business and investment news. It's rare to have an interview (interviews are usually done in their weekly Motley Fool Money podcast) but this was a special episode recorded live at SXSW, where host Chris Hill interviewed Pixar CTO Steve May. They covered Steve's early career at Pixar (he started during production of A Bug's Life), plus talked about how technology has changed over the past 2 decades, and how virtual reality is playing a role in film-making, whether for marketing, as a development tool or as a storytelling mechanism. 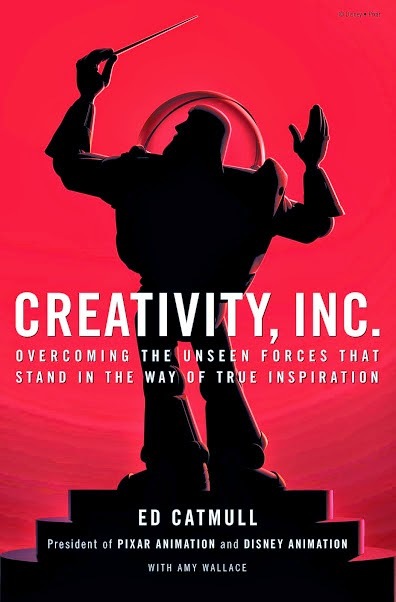 For a bonus episode, Motley Fool Money reran an interview Chris did with Disney Animation and Pixar president Ed Catmull shortly after his book, Creativity, Inc.: Overcoming the Unseen Forces That Stand in the Way of True Inspiration, was published. I've raved about this book in previous posts, and I really enjoyed listening to Catmull discuss some of the reasons he wrote the book, plus other topics like his animation "origin" story and road to Pixar. 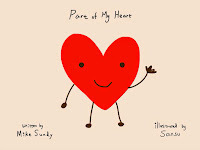 Stories Unbound interviews Mike Sundy - Sundy, whose credits includes Toy Story 3 and Inside Out, is now a children's book author. His books include the Pancho Bandito series and Part of My Heart. In this episode, host Shawna J.C. Tenney and Mike compare indie/self publishing versus traditional publishing. If you've ever thought about becoming a self published writer, you definitely should listen to it. You should also check out Mike's blog, where he's written about some of the lessons he learned while at Pixar, plus his inspiration for Part of My Heart and the process he used for publishing the book. The Bancroft Brothers interview the del Carmen brothers - I hope you're familiar with the Bancroft brothers. Tom and Tony are veterans of the animation industry, both having worked many years at Disney Animation. Tom did character animation on films such as The Lion King and Aladdin, and Tony was co-director of Mulan. Their podcast made my list last year when they interviewed Andrew Stanton. This year they're here with with one of the most fun and inspiring episodes I listened to, as they interviewed the del Carmen brothers live at the CTN Animation Expo. I'm sure you're familiar with long time Pixar story artist and director Ronnie del Carmen, the oldest brother. 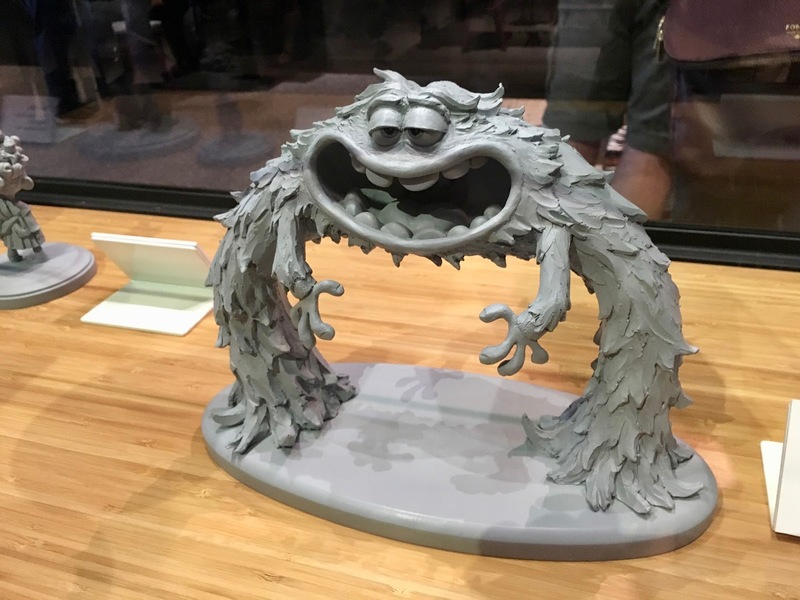 But his 2 brothers are also well-known story artists: Louie has worked at Dreamworks, Sony Pictures Animation and Disney Animation, while youngest brother Rick has worked on a number of television shows including Family Guy. Their interview goes into what it was like growing up in a small town in the Philippines and how they made the move to the United States. The Animated Journey interviews Pixar story artist Louise Smythe - This is an in-depth interview that actually spans 2 episodes. Host Angela Entzminger and Louise Smythe go all the way back to Louise's childhood, her college life and how she got to Pixar. They also get into a great discussion on their favorite movies when they were growing up. I really enjoy interviews like this; I wasn't familiar with Louise until I heard it, which caused me to go look for some of her art in The Art of The Good Dinosaur and her website, but I'd love to see more! Bullseye interview with Lee Unkrich - Of course there would have to be some Coco-related interviews this year, and one of the best was Jesse Thorn's interview with director Lee Unkrich. It starts with the quote from Jesse, “Congratulations on making another children’s movie about death” which leads into a discussion about love and death, the importance of family in Coco and how he got interested in Dia de los Muertos. I’ll admit I knew very little about Dia de los Muertos, but after listening to this interview and seeing the film, it has really opened up my eyes to the beauty and importance of the traditions of this holiday, and it’s made me want to incorporate some of them with my own family. On a side note, I’d like to give a shout out to the Pixar sound effects artists. It’s easy for me to get caught up in the beauty of all the visuals but it was a lot of fun listening to the clips Jesse played during the interview - you could really hear the details that go into the sound design. Some of the early Pixar DVDs had a sound effects track, with no dialogue or music, and I loved watching the film with only those sounds. Squared Co review of Coco - I just discovered Squared Co a few months ago. The podcast is hosted by Mark Morris and Jerrod Maruyama, one of my favorite artists - if you not familiar with his website you should definitely check it out. 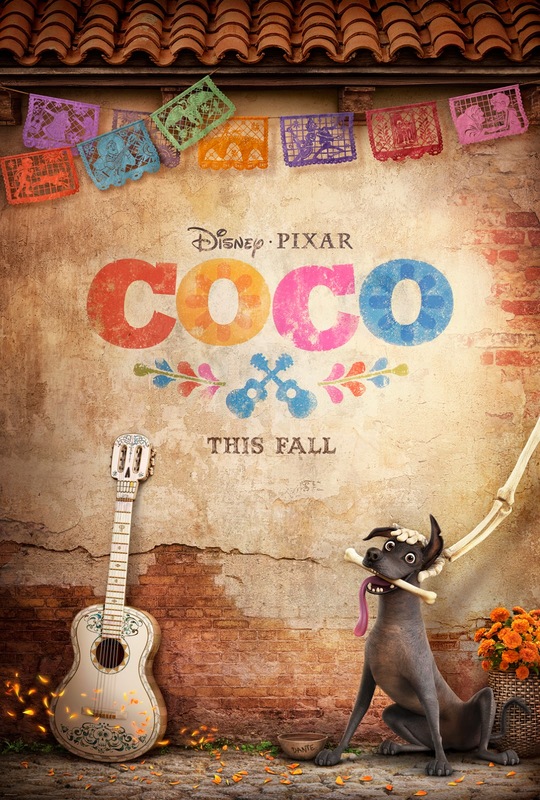 In this episode, they review Coco along with Dan the Pixar Fan and Gavin Otteson. Many of you are familiar with Dan's daily posts of his amazing collection of Pixar memorabilia. And Gavin is also an artist and has his own animation podcast. I haven't had time yet to listen to it but I have it queued up. Maybe it'll be on my list next year! Nickelodeon Animation interviews Pete Docter - This was also a new podcast for me, and I really enjoyed it. Hector Navarro interviewed Docter and they talked about Pete's early days at Pixar - getting hired and his first projects with the studio, which were television commercials. They discussed the importance of constraints, how it impacted the development of their early films, and how the collaborative nature of Pixar can be traced back to the making of Toy Story. One of my favorite quotes from the interview is when Pete recommends not playing Pictionary against any of the Pixar story artists! Crew Call interviews Michael Giacchino - This last one barely made the cut as I only listened to it a couple weeks ago, but it's a great one! I love film soundtracks. Listening to a great score, like Lord of the Rings, Star Wars or just about any Pixar film, takes me back into the film and lets me relive all of those emotions again. 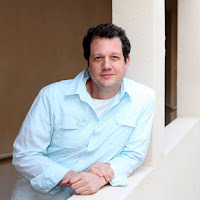 Michael Giacchino has composed many of those soundtracks - you can often find me listening to one of his scores while I'm working. I'm even watching Lost primarily just to hear his score. In this interview with Anthony D'Alessandro, they spend a lot of time talking about his music writing process and how he came up with the score and main themes for Coco. Michael also talked about his excitement of getting to work with director Lee Unkrich. After listening to this interview, it really intensified my desire for a complete soundtrack release for Coco! That's the list for this year! I'd love to know if you've found any great podcasts over the past year. Happy listening and have a great new year! 45 years ago, in 1972, Pixar co-founder Ed Catmull and Fred Parke created what may be the very first digital 3D film. They made this film while pursuing upper graduate degrees at the University of Utah. The film is short, and is an animation of Ed's left hand. 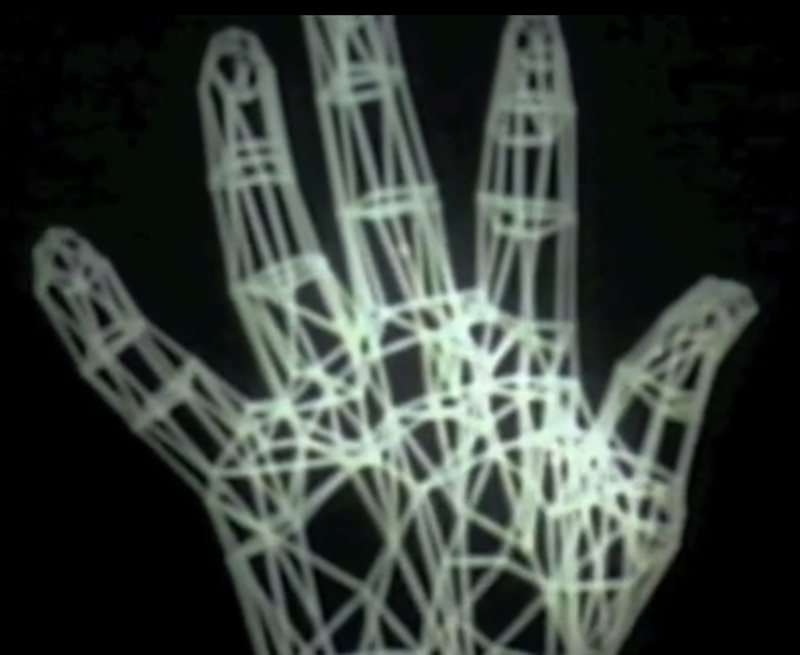 I really enjoy how, at one point, the camera flies inside the model of the hand and into one of the fingers. Part of this animation was even used in the 1976 film Futureworld. I think the best way to watch this film is via Robby Ingebretsen's website. 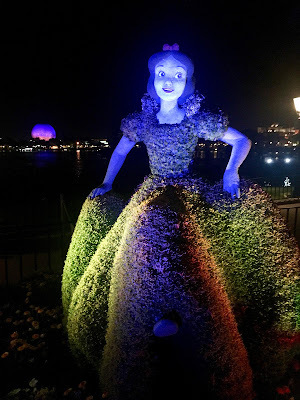 Robby is the son of Robert Ingebretsen, who assisted with the creation of the film, and Robby gives a great description of the film, plus some details of meeting Ed Catmull at Pixar and getting a tour of the studio. The comments to Robby's post are also fascinating, and include many from individuals (or their family members) involved in the early computer graphics field. I love the details like how the film was created on two PDP-10 computers (My computer graphics course at the University of Minnesota was on a PDP-11). It's such a great look back at the start of computer animation. 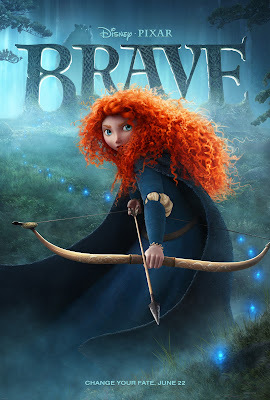 Five years ago today, on June 22, 2012, Pixar's 13th film, Brave, had its theatrical release. It opened in first place with over $66 million and went on to make over $540 million worldwide. Brave won a number of awards, including the Academy Award for Best Animated Feature Film, the BAFTA for Best Animated Film and the Golden Globe award for Best Animated Feature Film. Brave was released with the excellent short film La Luna by Enrico Casarosa, with a beautiful score by Michael Giacchino. Brave was a great, fresh take on the fairy tale story with strong female characters and a new interpretation of a princess character. It's really the relationship between Merida and Elinor that moves the story forward and sets it apart. 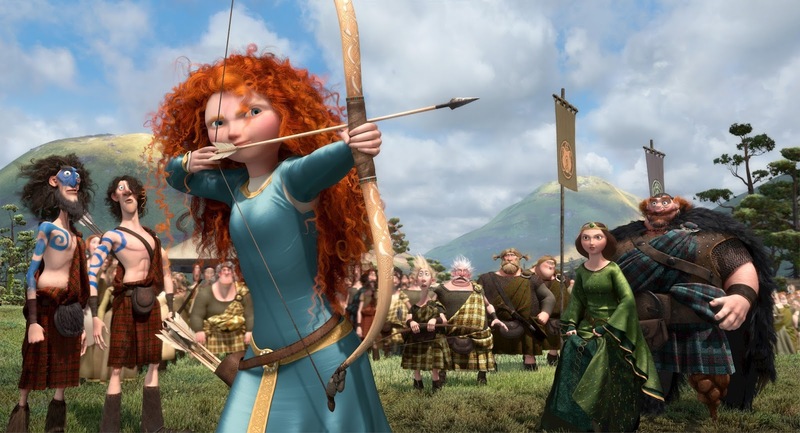 The archery scene where Merida declares she will shoot for her own hand, and splits Dingwall's arrow with her own, still gives me goosebumps. 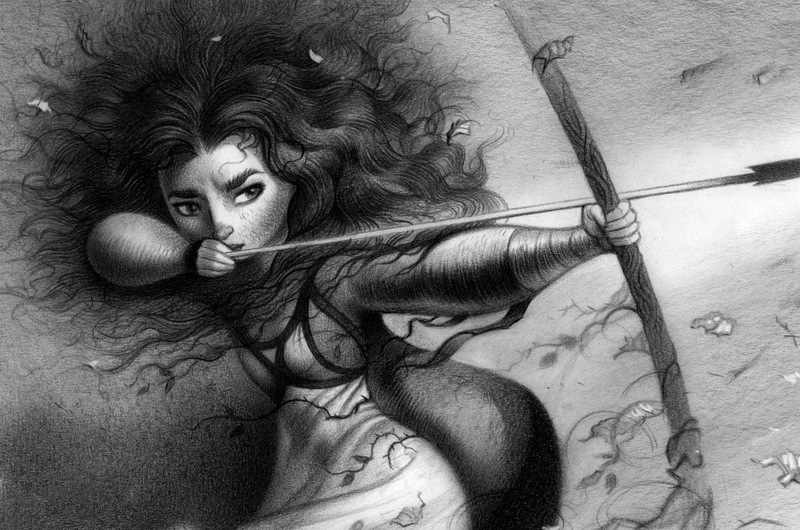 The film then jumps to the fight inside the castle between Merida and her mother; the animation is beautiful and full of such emotion. I also just love the music; I still often listen to the soundtrack (composed by Patrick Doyle), and think Touch the Sky is an awesome song. I remember being stunned by the complexity of the film - the number of sets; all the atmospheric conditions - rain, water, mist and fog; the different light conditions - full sunlight, candles and torches, moonlight, and dark shadowed forests. And how can we forget Merida's wild and crazy hair?! It was a huge leap forward in simulations, photorealistic sets and environments. The inspiration for the story came from director Brenda Chapman's relationship with her daughter. 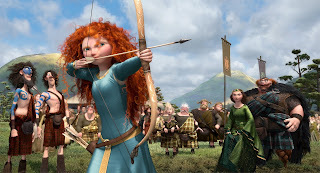 Sadly, there isn't a director's commentary to the film, but fortunately there is a LARGE number of interesting and entertaining bonus features including ones on the music, the design language of the relationship between Merida and her mother, alternate and deleted scenes, computer-generated bloopers and an in-depth look at director Mark Andrews. The promos for the film were also hilarious! Two of the songs in the film, Touch the Sky and Into the Open Air, were created by Alex Mandel, who was a Pixar manager. Director Mark Andrews helped come up with the lyrics with Alex on Touch the Sky. 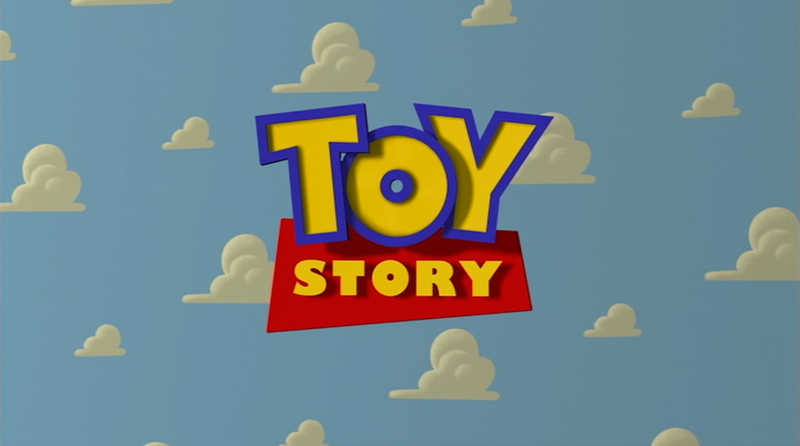 111,394 storyboards were created for the film, compared to 80,000 for Cars 2 and 92,854 for Toy Story 3. 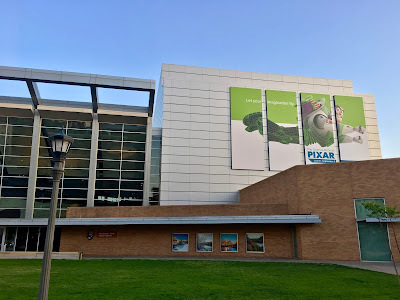 My wife and I went to The Science Behind Pixar last week on its opening night at the Science Museum of Minnesota in St. Paul, and I wanted to share some thoughts and photos from this amazing exhibition. I want to start with the Science Museum as it has some significance to my wife Lynn and myself. Our first date was at the museum in January of 1982, where we saw Genesis on the domed Omnitheater during a blizzard. We've been to the museum many times since then, at first just the 2 of us, and then with our 3 children. For many years we had family annual passes, and the museum always had creative and interesting exhibits and films. But as the kids got older and became more involved in school activities and sports, we started going less and less. So I was super excited that, 35 years after our first trip there, Lynn and I would be going there to see this exhibition. And we weren't disappointed! As its name suggests, The Science Behind Pixar is an incredible exhibit that demonstrates the STEM (Science, Technology, Engineering and Mathematics) concepts involved in creating Pixar films. It shows off these concepts in a multitude of ways making it easy for everyone to participate and learn. 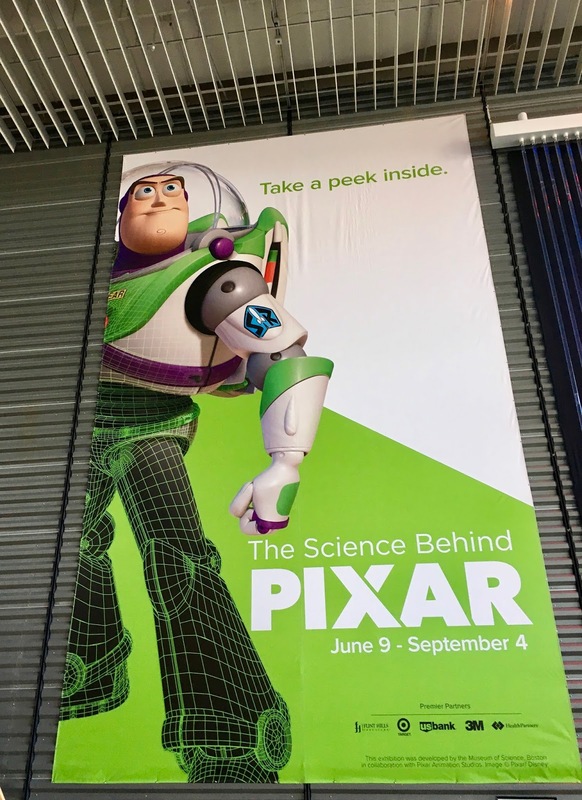 The Science Behind Pixar is a 13,000 square foot exhibit that was created by the Museum of Science, Boston in collaboration with Pixar. It opened on June 28, 2015, and began a 10 year traveling tour in early 2016. It's been to The Franklin Institute in Philadelphia, PA and the California Science Center in Los Angeles. It will next be at the Telus World of Science in Edmonton, Alberta and The Henry Ford Museum in Dearborn, MI. 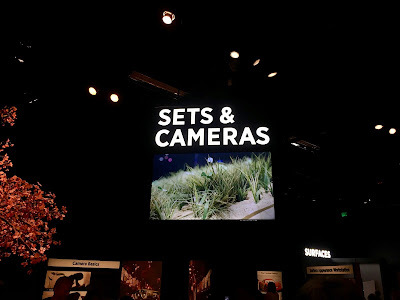 The exhibit starts with a short introductory video, very similar to the Pixar in a Box introductory video and hosted by a couple of characters from Pixar films. Once the film ends you enter the main exhibition area. And the area is huge! My first thoughts when I walked in were how expansive and elaborate it was. The exhibit is broken up into areas representing the steps of filmmaking, such as rigging, sets & cameras, simulation and lighting. Each of these areas has a number of stations to help you learn more about the concept. What makes the exhibit so great is the variety of activities, with many that are hands on. For instance, in the rigging area there is a station to adjust Jessie's eyelids and eyebrows to match her expression to different ones from the Toy Story films. Or you can explore and apply different arm rigs to Woody, Eve and Elastigirl. I really enjoyed the Working at Pixar stations. These are videos of employees describing what they did at Pixar, maybe how they became interested in computer graphics and animation, and included great nuggets of information on making our favorite films: how they used lighting to make WALL•E stand out amongst the dust and trash, or why they had to move the location of the Eiffel Tower in Ratatouille. Interspersed among all of this are life sized statutes of characters and plenty of wonderful artwork, maquettes and sculpts. The Science Behind Pixar is an engaging, informative and fun exhibit. I had walked through most of the areas and tried a number of activities, and was shocked that we had already been there for more than 2 hours! I'll definitely need to go back and check out the areas I missed. I strongly recommend trying to see this exhibition! It will be at the Science Museum of Minnesota until September 4th. I just returned from a trip to Disney World. 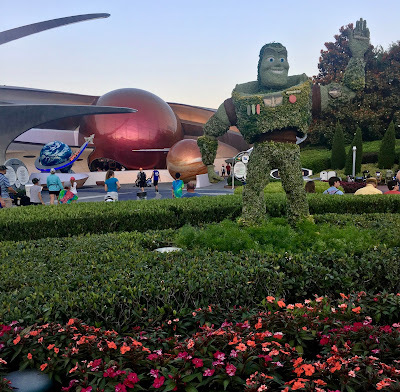 We had a great time and saw some wonderful Pixar exhibits and shows, such as topiaries that were part of Epcot's Flower and Garden Festival, and the brand new The Music of Pixar Live! at Hollywood Studios. 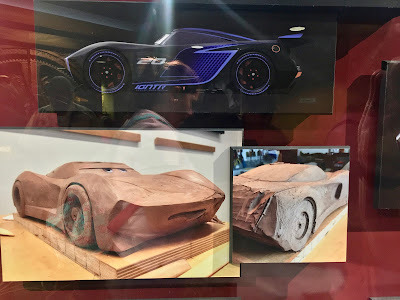 There was also a Cars 3 preview at Hollywood Studios. Inside the Walt Disney: One Man's Dream exhibit, they were displaying artwork, storyboards and maquettes from the film. They also had a 10-15 minute sneak peak of the film, which included a large portion of the Thunder Hollow scene. You've probably seen portions of this in the trailers for the film, with the crazy explosions, a lot of mud and a crazed looking school bus! The extended cut shown in the preview maintains that high energy, and it's a gorgeous scene that must've been a technical nightmare to pull off. 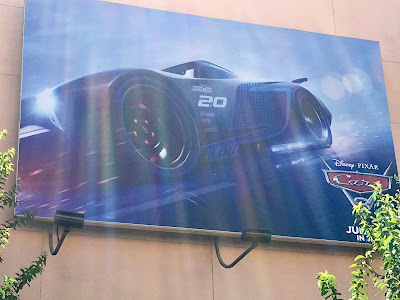 If you're going to Disney World this summer you'll really want to get over to Hollywood Studios and check out this exhibit and sneak peek. I'm hoping that as we approach fall, they'll have a similar exhibit for Pixar's next film, Coco! 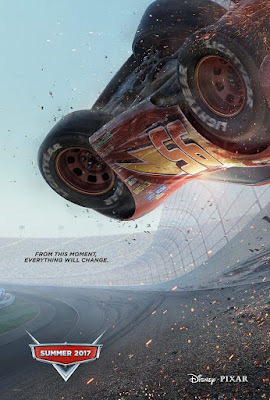 Cars 3 will be in theaters in exactly 2 weeks from today, on June 16th! 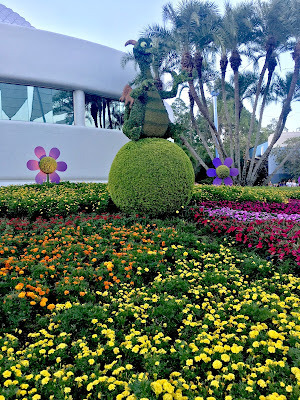 The annual Flower and Garden Festival is one of my favorite events at Epcot. 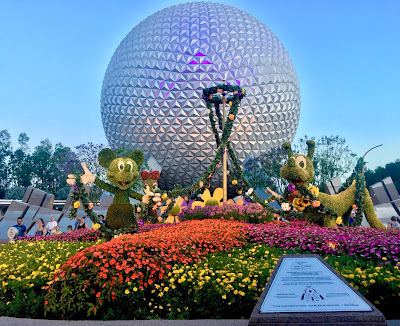 Epcot is my favorite park at Disney World and is bright and colorful all year long, but come every spring it takes a giant leap up with the festival. 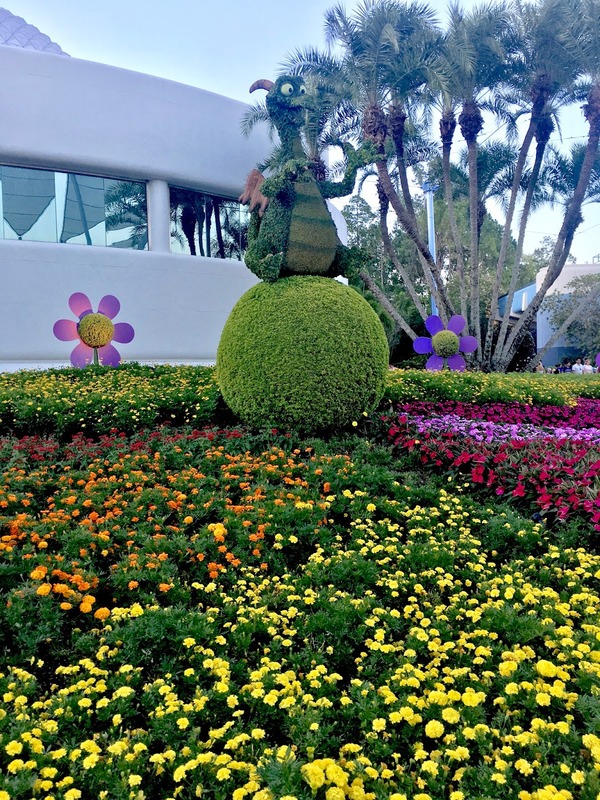 Start with the beautiful and elaborate topiaries, add over 70,000 flower beds and 220 floating pots, include the Garden Rocks concerts and the Outdoor Kitchens, and it's really giving the Food & Wine Festival a run for its money as the holder of my favorite event! Pixar characters have been a part of the festival for many years. In the past, there's been Mike and Sulley topiaries from Monsters University, and there was the Inside Out Emotion Garden in 2015. This year was no exception. 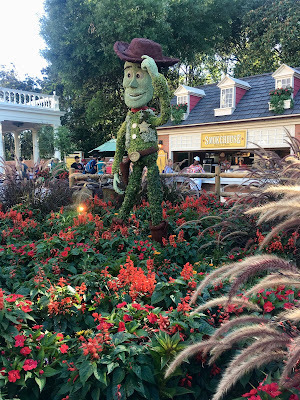 As has been the case for the past few years, Woody from Toy Story could be found in the American Adventure pavilion in World Showcase. His friend Buzz Lightyear was in his usual location right outside of the Mission: Space attraction in Future World. In addition, Lightning McQueen from Cars returned to his same location on the walkway between the Mouse Gear store and Test Track. In previous years, Tow Mater joined Lightning, but this year Mater was replaced with Cruz Ramirez from Cars 3! The area where Lightning and Cruz were positioned was themed as the Road to the Florida 500, which highlighted plants and flowers that thrive in warm weather climates and is home for an outdoor playground. Epcot is always educating, and it was fun to read about how plants like the Spanish Bayonet, Silver Buttonwood and Sea Oats survive in hot weather. Sadly, the Flower and Garden Festival ends today, Monday, May 29, but will return next year! It's been a long time since I've written a "Pixar News Article" post, but with the Cars 3 marketing machine fully ramped up, there have been a number of excellent behind-the-scenes articles and interviews. 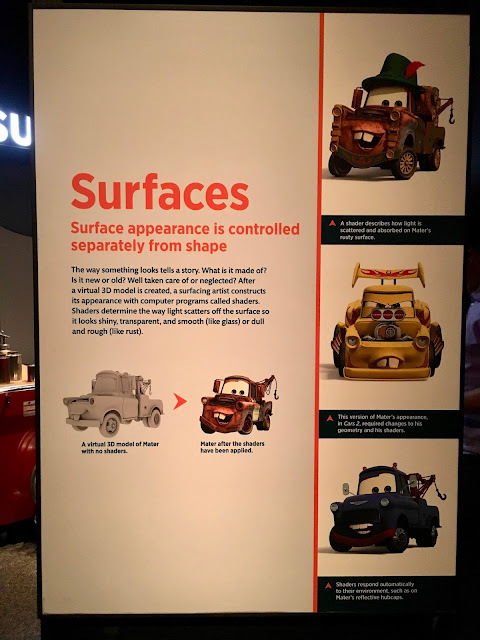 Jay Ward, the Cars creative director and franchise guardian, shared this article regarding how Pixar brings Cars to life, with a focus on authenticity. 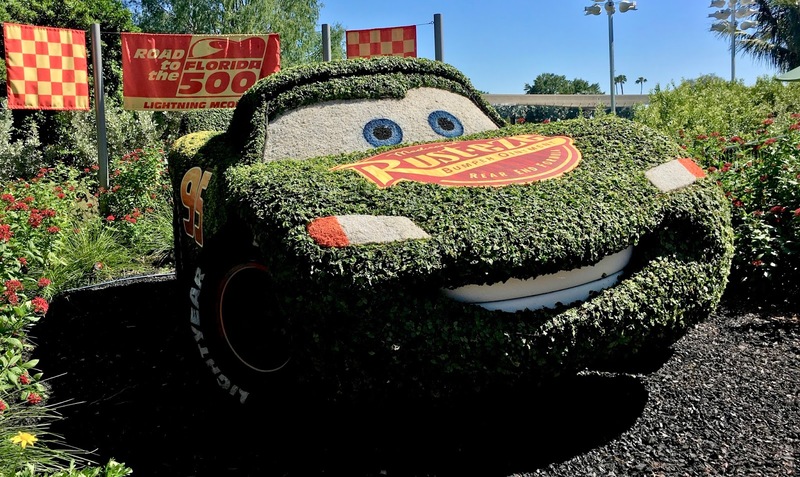 And this Sahm Reviews article discusses story aspects and some of the challenges that Cars 3 presented with Bob Peterson, Scott Morse, Kiel Murray and Mike Rich. 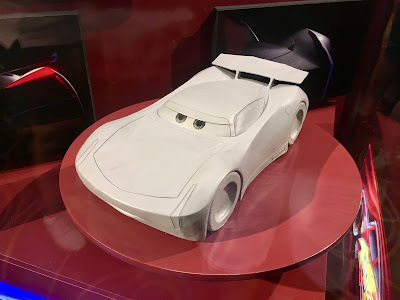 The Pixar Post released a new podcast episode with the first in their series of interviews they had during the Cars 3 blogger press day a few weeks ago. This interview was with Production Designer Jay Shuster, Character Supervisor Michael Comet and Directing Animator Jude Brownbill, and covered the design, rigging and animation of the multitude of characters in the film. There was some non-Cars 3 news too. In this Digital Arts article, Pixar's Matthew Luhn talks about the impact storytelling can have on people. Luhn also shares his opinions on how virtual reality is changing and how storytelling can work within that medium. The next few months should be exciting, with more articles and interviews on Cars 3, and then we should immediately start seeing a lot more Coco news! I've written a number of posts on the earning reports Pixar released when they were a public company. I began with their first report as a public company, the 1996 annual report, and now am reviewing the 1999 annual report. But I thought it would be fun to look at their earnings as someone considering buying Pixar stock. To be clear, nothing in this post should be construed as stock advice or a recommendation to buy or sell any stock. One of the first rules of investing is to do your own due diligence. The point of this post is to highlight some of the numbers and factors one might look at when analyzing a company, using Pixar's 1999 annual report as a concrete example. In addition to doing due diligence, an important investing rule (at least for me) is to be interested in the company. I know from my own experience, when I'm interested in the company I'll spend the time to research it, keep up with their press releases, read their quarterly and annual reports, etc. Fortunately, I was very interested in the company. I was an early investor in Pixar, with my first stock purchase in 1997. I wish I had kept a diary so I could better remember my thought process in why I bought the stock. Obviously I loved Toy Story and saw the potential in computer generated animation. Even prior to the release of Toy Story I was aware of the company. 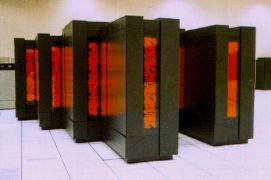 In the early 1990s I was working at the Minnesota Supercomputer Center, doing system administration and system programming for their Thinking Machine supercomputers. 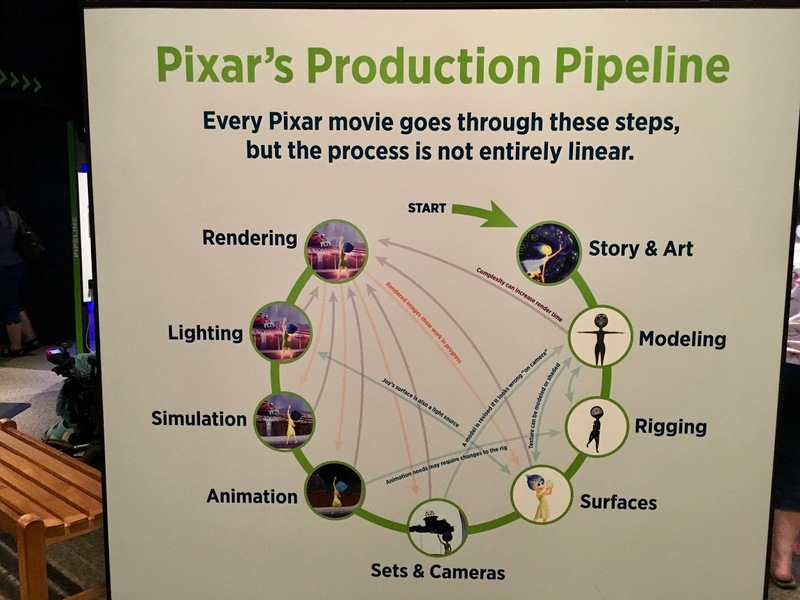 A number of folks on our team were involved with computer graphics and were aware of the work Pixar was doing in the field. Plus, during a conversation with Pixar's Bill Reeves, I learned Pixar had used one of our Cray supercomputers to render one of their early short films. While at the Supercomputer Center, I also had the opportunity to hear Pete Docter speak at a conference I was attending. I believe it was his talk that introduced me to Pixar. Getting back to Pixar's 1999 annual report, what can we learn? A couple of questions investors usually ask about a company is, is the revenue or sales of the company growing, and is that sales growth sustainable? Sales growth is what propels a company's stock price higher. From those sales we hope it covers all the expenses of the company and ends up on the "bottom line", which is more commonly referred to as net income. Sales, expenses and net income can be found on the income statement. For Pixar, their revenue is pretty straight forward, primarily coming from making their films - theater ticket sales, home videos and merchandise. If you've read my article on the film production agreements Pixar had with Disney, you may recall that Pixar and Disney split all profits 50/50 as well as the expenses to develop the films. In 1999, Pixar's revenue was $121 million. 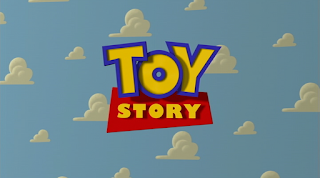 Even though Toy Story 2 had just been released in November of 1999, Pixar made no money from it during 1999 - that money would be earned in 2000 and later. In 1999, over $110M of their revenue came from A Bug's Life, which was released in November of 1998. This amount included theatrical, home video and merchandise sales. They also made $4.1M from Toy Story merchandise, television royalties and home video sales. The rest of their sales came from $5.7M of RenderMan sales and less than $1M of animation services. 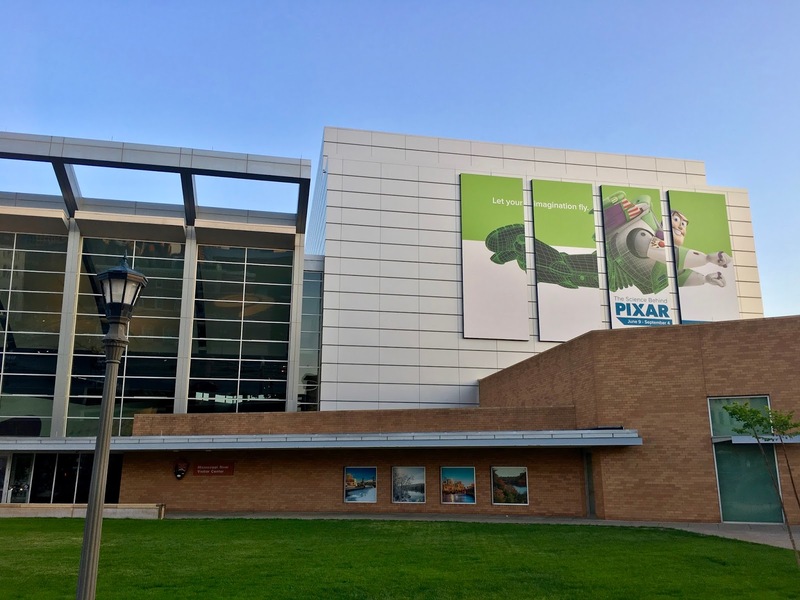 From the $121M in revenue, Pixar deducted $46.5M in film development costs and other expenses such as research and development, sales and marketing, and general administrative costs. In addition, they paid almost $33M in income taxes and made about $7.5M in interest on their cash and investments. In the end, this gave Pixar a little over $49M in net income. How did these results compare to previous years? Well, since Pixar hadn't released a film since Toy Story in 1995, they compared extremely well! For 1998, Pixar only had $14.3M in revenue and almost $8M in net income, while in 1997 the did a little better with $34.7M in revenue and $22.2M in net income. Not only did revenue and profits jump dramatically in 1999, but their balance sheet was strong. The balance sheet shows how much assets (cash, bonds, property, equipment, etc) and liabilities (salaries to be paid, debt, upcoming income taxes, money owed to Disney, etc) the company has. At the end of 1999, Pixar had about $195M in cash and investments, plus other assets of $180M for total assets of almost $375M, while they had no debt and only owed $30.5M, giving them a net worth of over $344M. And the balance sheet was getting stronger - from the $121M in total revenue for the year, over $109M of that ended up as cash the company could use for buying more computers, developing films and putting in the bank. 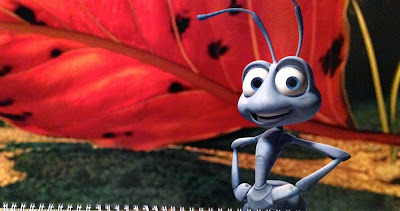 I think it's clear that A Bug's Life was very profitable for the studio! So going back to the questions I asked earlier, in regards to sales growth, I think it's clear that Pixar had this covered! As for the second question, whether the growth was sustainable, I think this is where it helps to really understand the company. What I mean is that while 1999 was a banner year compared to 1998, revenue and income in 1998 dropped from 1997, when Pixar was receiving more income from the international and home video releases of Toy Story. Up to this point one could say Pixar's profits were lumpy and not consistent, rising when a new film was released and falling just as dramatically the year after. This "lumpiness" might scare off investors who didn't look deeper at the company and the film production agreement Pixar had with Disney. But I think there were strong signs as to why Pixar could continue growing their revenue and net income. First was the new Co-Production Agreement with Disney. As I mentioned earlier, Pixar received half of all the profits from A Bug's Life and any of their other future films. The impact the new agreement would have was already clear. I wrote a post about how much money Pixar made from Toy Story. That film was produced under Pixar's original agreement with Disney, where they received a much smaller percentage (closer to 10% - 15%) of the film's profits. While I don't have the exact numbers, in the 3 year period after Toy Story was released, I estimate Pixar received about $56M. Compare that to just one year of revenue from A Bug's Life where they made $110M, or almost double all their revenue from Toy Story! Second, Pixar had a set a goal of delivering a new film every year. They weren't there yet - Toy Story came out at the end of 1995, and it was 3 years before A Bug's Life was released. But Toy Story 2 came out 1 year later, and Monsters, Inc. would be released 2 years later (with Finding Nemo about 18 months after that). One could see that Pixar received significant revenue from Toy Story for over 3 years. So even if their next films weren't as successful as Toy Story, I think it was clear their earnings "lumpiness" would smooth out as they approached delivering a film every year. I also think it was clear their growing film library would continue delivering results long after the films had left the theater. I wish I could say I had the foresight to see all the ways Pixar could have a positive impact on the Disney corporation. 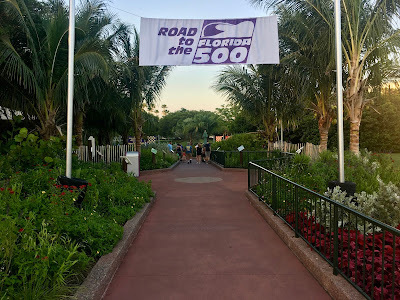 I'm not sure I envisioned theme park lands being devoted to one of their films, or that sections of resorts would be named after other films, or that Disney theme parks would dedicate entire weekends exploring the development of their films or celebrating the studio's 30th anniversary. But I do think it was obvious Disney was making good use of their partner. Pixar characters were showing up in parades at the Disney theme parks, and Buzz Lightyear had his own attraction at Disney World's Magic Kingdom (which opened in late 1998), all of which would help keep the films and its iconic characters in people's minds, helping drive additional merchandise sales beyond the ebb and flow of their film releases. All of these factors pointed to the strong possibility of continued growth for the company. Were these factors reflected in Pixar's stock price? Well, the price stayed between $15 and $25 from 1999 through 2001 (note, all prices are adjusted for the 2-for-1 stock split the company declared in early 2005). Even into the beginning of 2002 one could buy their stock for around $15. But then in 2002 it began a steady climb for the next few years, going over $50 before the company announced its merger with Disney at a price of almost $60 in early 2006. For that period, from early 2002 to early 2006, Pixar's stock price returned over 30%/year, compared to the average annual return of 8% - 10% for the overall market! We will never know, but I think Pixar would have continued to be an exciting company for shareholders if they hadn't merged with Disney. Five years ago today, on May 4, 2012, Ed Catmull, president of Pixar Animation and Disney Animation, gave the commencement address at the University of Utah. 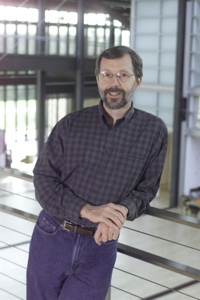 Catmull studied at the University of Utah, earning bachelor degrees in physics and computer science plus a Ph.D. in computer science in the mid 1970s. One of his goals after graduating was to make the first computer animated film, which he succeeded at with the release of Toy Story two decades later. Catmull gave an inspirational speech that included a number of references to both Pixar and Disney films, and the cultures of the 2 companies. Much of his speech spoke about the importance of accepting change and planning for unforeseen events rather than trying to prevent them. The University of Utah has a video of the commencement. You'll need to forward to the 98 minute mark to get to his speech. Once you've finished watching the address, if you'd like to hear more from Catmull, check out the April 13th episode of the Motley Fool Money podcast. This is a repeat episode where Chris Hill interviewed Ed shortly after the release of his book, Creativity, Inc.: Overcoming the Unseen Forces That Stand in the Way of True Inspiration. In addition to some of the points he made in the commencement address, he talks about how most Pixar films are bad at the beginning of development, and the importance of protecting the team during those early phases. Five years ago today, on April 24, 2012, Pixar announced their film lineup through 2015 at CinemaCon. This was an exciting time for Pixar; it was only a couple of months before the release of Brave, and Monsters University was well into production with a release date of the following year, and all of us Pixar fans were clamoring to hear about a couple other untitled films. 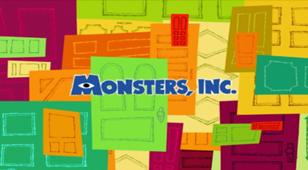 Back in 2011, Pixar had announced that Bob Peterson and Peter Sohn were working on a film, and all we knew is that the working title was The Untitled Film About Dinosaurs. Well, during the conference Pixar tweeted the official title, The Good Dinosaur. In addition, we knew Pete Docter was also working on a new film, appropriately titled The Untitled Film That Takes You Inside The Mind, but at the conference it received its official release date, June 19, 2015. From director Lee Unkrich and producer Darla K. Anderson, the filmmaking team behind the Academy Award®-winning “Toy Story 3,” comes a wholly original Pixar Animation Studios film that delves into the vibrant holiday of Día de los Muertos. Now, 5 years later, we're just a little less than 7 months away from the release of Coco! Coco looks to be a visually stunning and unique film! Thinking back to the announcements from that day in 2012 fills me with anticipation and excitement for Pixar's future. Between those announcements and now, not only did we get the films we knew about (Brave, Monsters University, The Good Dinosaur and Inside Out), but Pixar also released Finding Dory last year, which was the number 2 film of the year, only behind Rogue One: A Star Wars Story. 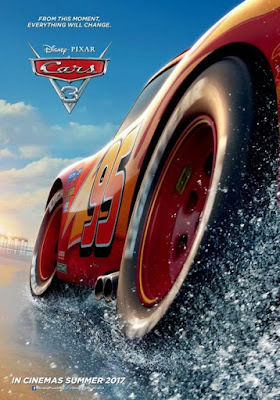 And before Coco comes out later this year we're getting Cars 3 this summer! I'm so excited to go back and explore this world, and expect it to be one of the biggest hits of the summer. That's a total of 7 films. What does that mean for the next 5 years? After Coco, there are only 2 officially announced films, The Incredibles 2 for 2018 and Toy Story 4 in 2019. Plus, there are 2 untitled films scheduled for 2020. What are those 2 films, and what's in store for the following 2 years? And then what will be on the slate 5 years from now? Here's a few names to think about: Pete Docter, Pete Sohn, Bob Peterson, Dan Scanlon, Ronnie del Carmen, Enrico Casarosa, Angus MacLane, Mark Andrews, Andrew Stanton. Thinking about these folks and what they may be dreaming up just gets me pumped for Pixar's future! Pixar's next film, Cars 3, will be in theaters exactly 4 months from today, and the marketing for the film is definitely heating up! 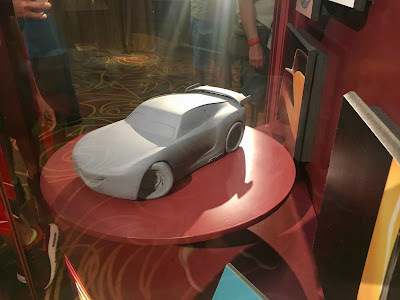 We've had that shocking teaser trailer plus the special preview that took place at the Detroit Auto Show (check out the great write-up from the Pixar Post). I can't wait! While waiting for Cars 3 to arrive, I've been spending time watching the two earlier Cars films and their bonus features. I've previously written about my love for the original Cars, including a couple of my own trips along the Main Street of America, but I thought it would be good to explore one specific aspect of the film's development. I very briefly mentioned this in the last line of a post back in 2013 but only recently thought about the impact it must have had on the company and employees. 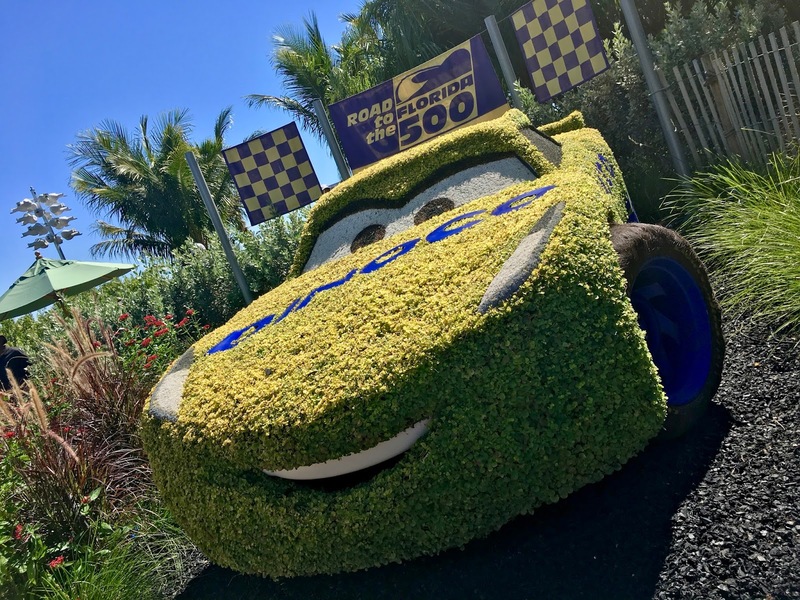 The development of Cars can be traced back to 1998 near the end of production for A Bug's Life, when story artist Jorgen Klubien began development on a concept referred to as The Yellow Car. 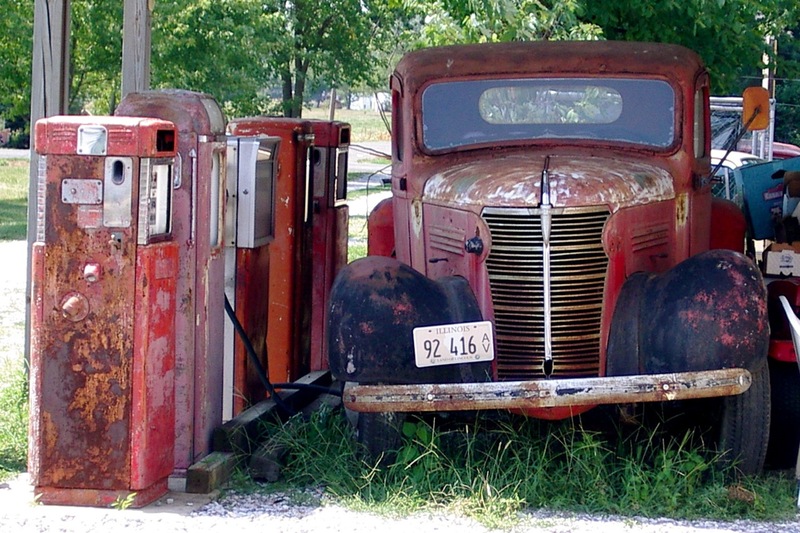 The story really took off in 2001 after director John Lasseter took his family on a cross-country road trip that included driving on Route 66. As with all Pixar films, there was plenty of research done. For Cars, that included a couple of road trips along Route 66, which were highlighted in the Route 66 Memory Lane bonus feature on the Cars DVD and Blu-Ray. In the feature, you can hear John's passion as he recounts many of the people and locations they saw as they traveled the Mother Road, and I loved seeing how much of the design, look, characters and even the pacing of the film were influenced by what they experienced. At the end of the feature, John states that Cars is the most personal movie he's ever made. I don't think there's any doubt that these films are a labor of love. So imagine what it must've been like for Lasseter and the rest of the crew that as they were pouring their heart and soul into this film, they were on the verge of losing the rights and access to not only the characters in this film but all the characters they'd brought to life in their previous 6 films. To elaborate, during the time Cars was being developed, Steve Jobs and Pixar had tried to renegotiate their 10 year, 5 film Co-Production agreement with Disney. Cars was the last of the 5 films to be delivered under the agreement. The negotiations started in early 2003, and 10 months later, on January 29, 2004, Pixar announced they had terminated the negotiations and would find a new partner to distribute their films. According to their existing agreement, Disney retained rights to all films and characters created under the agreement. In addition, Disney could create sequels or use the characters in their theme parks. Pixar would have the opportunity to participate in, and receive compensation for, any sequels, but if they declined to participate, the final decision to move ahead resided solely with Disney. In fact, near the end of 2004 Disney announced they were moving ahead with a Toy Story 3 sequel without the involvement of Pixar. This had to be one of the most nerve-racking times for the employees at Pixar. Throughout the last 2 years of production, they were working on a film knowing that once complete, they would hand it over to Disney and lose the rights to their work. I can't imagine how difficult it must have been to come into work knowing this and still being able to keep their focus, and produce a film full of fun and heart, one with great messages of loyalty and the importance of slowing down and enjoying life. I think for many companies this would have been too much. The devastation of losing all of your creations of the past 15 years, and the uncertainty of what the future held would've torn them apart. But in Pixar's case, it seems it had the opposite effect. I think it solidified the company and brought everyone together. They may not have known what was ahead, but they put all their passion and focus into their work and each other, committing to come up with better stories and characters. They maintained their optimism for the future. 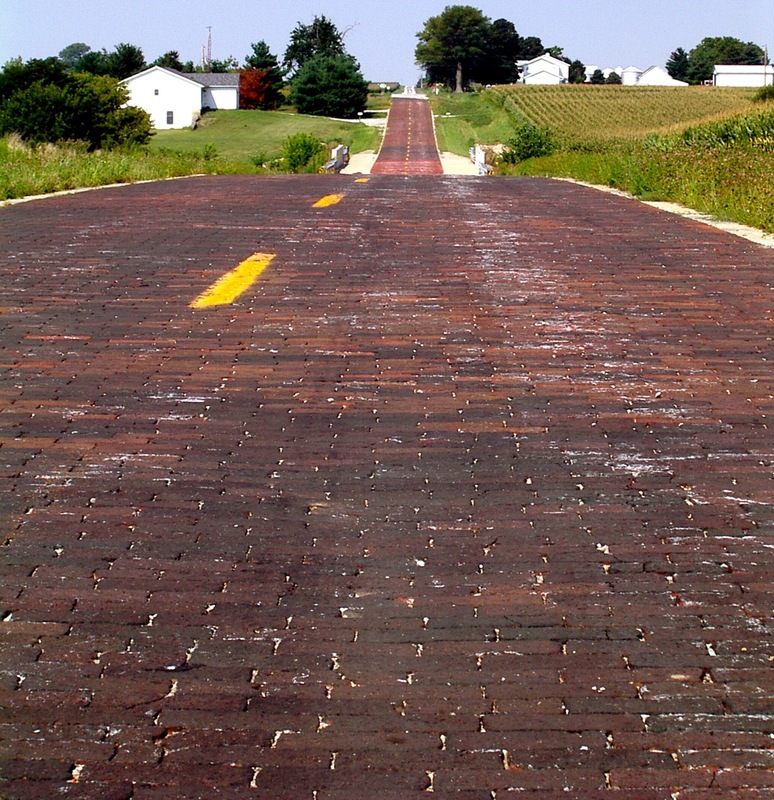 I just love this segment of old Route 66, near Auburn, IL. In the end, things turned out well. In the fall of 2005, Disney CEO Michael Eisner resigned from the Walt Disney Company, and President and Chief Operating Officer Bob Iger took over. Immediately, relationships between Disney and Pixar began to improve. And in late January, 2006, almost exactly 2 years after announcing they were terminating their agreement with Disney, Pixar announced it would be merging with its larger partner, which took place 4 months later, just one month before the release of Cars. As you can see, each consecutive film had higher results than its predecessor. This is how one turns adversity into success, and is another example of the strength of Pixar's people and culture.